Philosopher/writer Lin Yutang spoke these brilliant words nearly 80 years ago, but they ring true now more than ever before. 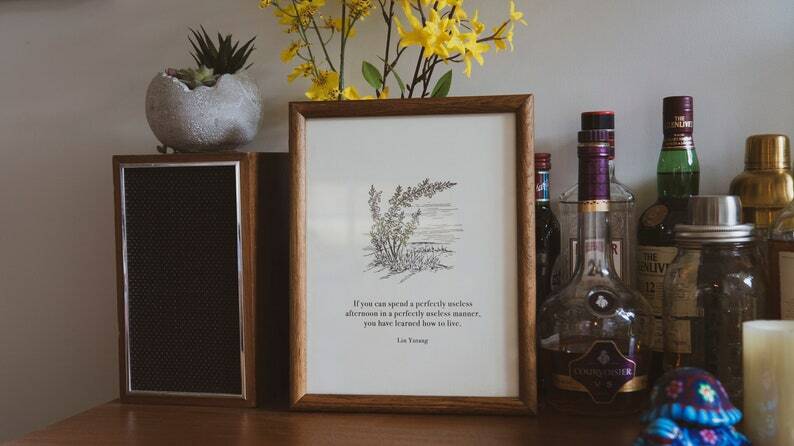 This custom-designed print on a cream-colored card stock and framed in a vintage 8.5" x 11" frame comes ready to hang and is the perfect reminder to all who see it, the virtues of slowing down. They're perfect! The wood grain is beautiful, they're sturdy without being heavy, and the look was exactly what I was hoping for! !